Online Evening Bookings must be made before 5 PM or call 9747 4259. Casual Court hire rate of $24 anytime. 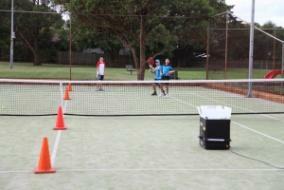 Become a member & save $$$$ on court hire. Hit as many balls as you can in the time allocated. Minimum time is 45 minutes. Contact us for more information – this needs to be booked in advance.